Ericka D. James, the founder of The Kingdom Minister’s Association, is a Master Scribe for the Kingdom of Heaven. Her primary gift is hearing directly from the throne of God and she shares what she hears through writing, speaking and teaching. She skillfully blends spiritual insights with practical knowledge that ushers you into accessing and walking in the full power of the Kingdom of Heaven in every area of your life. She has guided hundreds of people through the inner healing and deliverance process and has perfected the teachings directly from the Holy Spirit. Her more than 20 years of walking in her anointing as a speaker and humor as a natural entertainer keep you entertained even as she teaches on the deepest of topics. She walks in an Apostolic mantle and oversees, trains and equips ministry leaders with advanced spiritual teachings and leadership skills that take their ministries beyond where they have gone before. Mrs. James shares her gifts, talent and expertise with ministries and conferences across the nation. She is a natural innovator and has developed more than 20 teachings and training programs. 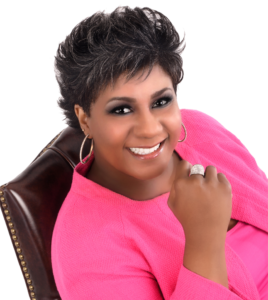 She is the founder of The Convergence Center LLC, The Kingdom Minister’s Association and The International Alliance of Christian Business Women. She is on the Board of Directors of Catch the Fire USA. She is the author of Self Coaching, When God Calls, The Fearless Living Challenge, The Power of Vision, Beyond Fearless: How to Remove Every Hindrance From Your Life and Your Heart is the Key. She has been an itinerant (called to the Body of Christ outside of the four walls of a church) for more than 15 years. She flows in the five-fold ministry as an Evangelist and is held accountable by Apostle Elijah Forte Ministries. For more information on Ericka’s life work, visit www.ErickaDJames.com.